Please Note: All times displayed are Pacific Time Zone. 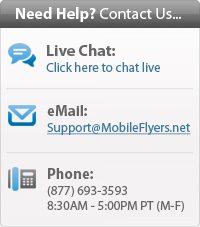 © Copyright 2019 - MobileFlyers.net. All Rights Reserved.